Introduction Return of the Desktop and Start Menu More Desktop Changes Continuum: Transforming the form factor Digital Inking gets a Promotion The Windows Store: Unifying Across Devices Changing the Way You Interact With Your PC: Meet Cortana Check out the New Browser: Microsoft Edge Action Center, Wi-Fi Sense, Data Usage, Storage Tracking Mail, Calendar, and People Photos, Maps, and Messaging Xbox on the PC DirectX 12 & WDDM 2.0: Reworking the Windows Graphics Stack Touch-Enabled Office Apps Arrive with Windows 10 OneDrive Why Do I Need a Microsoft Account? Windows Hello and Passport Windows 10 Privacy Windows 10 Editions Windows as a Service Windows Insider Program Even More New Features: Miscellaneous Additions to Windows 10 The Free Upgrade and Activation Performance: Windows 10 Follows in the Footsteps of Windows 8 Is Windows 10 the upgrade to get? Let’s flash back to 2012. 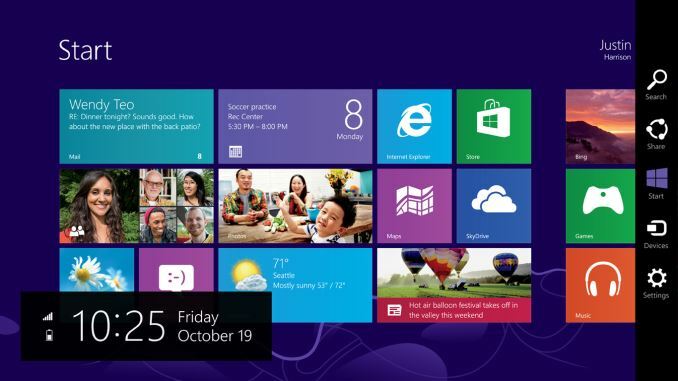 About three years ago, Windows 8, the last major release of Microsoft’s ubiquitous operating system, was released to manufacturers. This was to be Microsoft’s most ambitious release yet. Traditional PC sales were in decline, and more personal devices such as the iPad tablet were poised to end the dominant PC platform. Microsoft’s response to this was to change Windows more than in any previous release, in a bid to make it usable with the tablet form factor. Windows 8 launched in October 2012 to much fanfare. There was much fanfare, but little in the way of sales. Yes, Microsoft did sell many copies of Windows 8, but it did not help the declining PC market rebound. Windows 8 came to be with a touch first interface, with a new Start Screen replacing the traditional Start Menu, and a new breed of Windows 8 apps, which run on the WinRT framework. These WinRT apps have been named many things over the past three years, starting with Metro apps. A trademark dispute ended that naming scheme though, and over time they have morphed from full screen apps to universal apps to Windows Store apps, and practically none of them were able to rival the older Win32 platform in popularity or productivity. Windows 8 did bring some great features to Windows, but they were overshadowed by the major design shift which, while good as a touch based operating system, alienated many who still used Windows on a traditional desktop or notebook. The Start Screen was a big turn off to many people, and full screen apps were not very efficient on a large screen display. Even the multitasking in Windows 8 was less than ideal, with the initial release only allowing two Windows Store apps to be open at any one time, and the second was relegated to a small side bar. Microsoft’s own faith in Windows 8 was clearly not strong. Only a couple of weeks after Windows 8 launched, they unceremoniously dumped the project head Steven Sinofsky from the company, and spent the next two years trying to make Windows 8 more usable on traditional mouse and keyboard type machines, which were the vast majority of Windows devices in the hands of users. Windows 8.1 arrived and fixed some of the key issues with Windows 8, and 8.1 Update launched with the ability to boot to the desktop, and avoid the touch interface almost completely if you wanted to. When looking at Windows 10, I think it is pretty important to look back over the last three years, because none of this is ever built or designed in a vacuum. Microsoft has a huge number of devices running Windows, but a large majority of them are running Windows 7, which was an evolutionary desktop upgrade. Windows 8 struggled to ever take over any of that usage share. 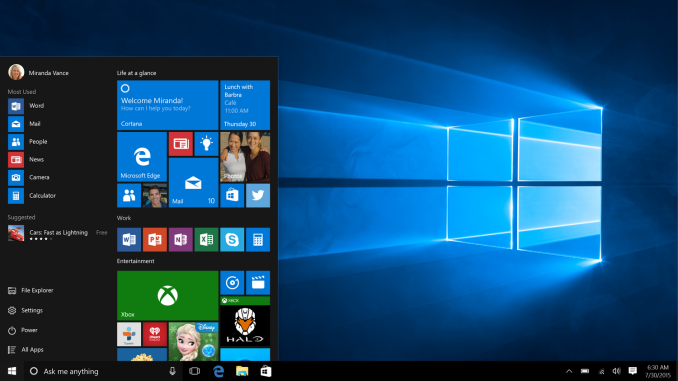 Windows 10 is Microsoft’s attempt to bridge the divide. Windows 7 is used by hundreds of millions of people, but its touch support is practically zero. Windows 8 works well in a touch scenario, but is not ideal for keyboard and mouse based devices. Windows 10 promises to be the version of Windows which bridges this gap. Windows 10 brings about as much change as Windows 8 did, but in almost all cases it is going to be appreciated by users rather than avoided. It will run on a dizzying number of device types, including the traditional desktop, notebook, tablet, two-in-one, phone, IoT, Raspberry Pi, Hololens, Surface Hub, and even Xbox One. What it will bring to each of those device types is not the single interface that Windows 8 pushed on the desktop, but a unified app platform. Each device type will have its own interface, but the underlying app platform will allow developers to target a huge number of devices. And developer buy-in is the one thing Microsoft needs more than any other in order to make this vision succeed. For all of Windows 8’s quirks, it was really the lack of quality apps in the Windows Store which was the one hurdle Microsoft could not code around. Only time will tell whether or not the new model succeeds where the old one failed, but at the beginning of the life of Windows 10 we can go through all aspects of it and see what’s new, what’s changed, and how it fits in on today’s devices. Return of the Desktop and Start Menu Introduction Return of the Desktop and Start Menu More Desktop Changes Continuum: Transforming the form factor Digital Inking gets a Promotion The Windows Store: Unifying Across Devices Changing the Way You Interact With Your PC: Meet Cortana Check out the New Browser: Microsoft Edge Action Center, Wi-Fi Sense, Data Usage, Storage Tracking Mail, Calendar, and People Photos, Maps, and Messaging Xbox on the PC DirectX 12 & WDDM 2.0: Reworking the Windows Graphics Stack Touch-Enabled Office Apps Arrive with Windows 10 OneDrive Why Do I Need a Microsoft Account? 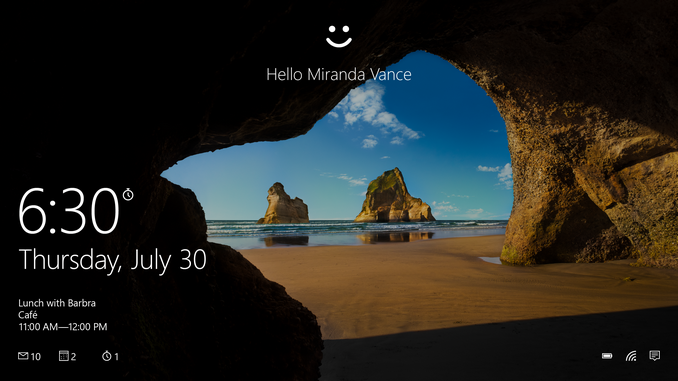 Windows Hello and Passport Windows 10 Privacy Windows 10 Editions Windows as a Service Windows Insider Program Even More New Features: Miscellaneous Additions to Windows 10 The Free Upgrade and Activation Performance: Windows 10 Follows in the Footsteps of Windows 8 Is Windows 10 the upgrade to get? Would just like to say this is the first Non garbage pseudo viral marketing advertisement "review" I've read on Anandtech in months. Well done sir. If truth is insulting to the owner, he outta stop and think about what he is doing. how many pieces of silver does ms pay u for ur quid pro bs???? ddriver, cut the bull. Windows 10 tells you EVERY SINGLE THING that it will send back to Microsoft and allows you to opt-out or turn off the functionality that requires that stuff being sent back to Microsoft.